Published January 1, 2015 … .free all year! 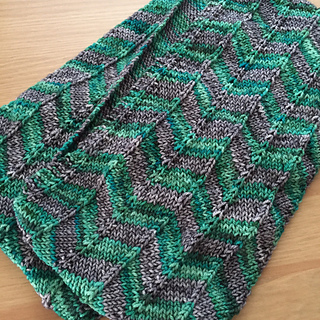 I have fallen in love with self-striping yarns but had to admit to myself that I didn’t know what to do with them, as I don’t like to knit small fiddly things in the round (socks, mitts, etc.) that would show off the stripes. 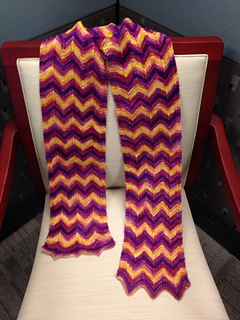 So, I decided a chevron striped scarf would be just the ticket! 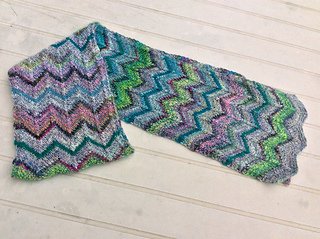 But all the patterns I found included eyelets created where the increases occur, which I didn’t like, so I created my own. P.S. 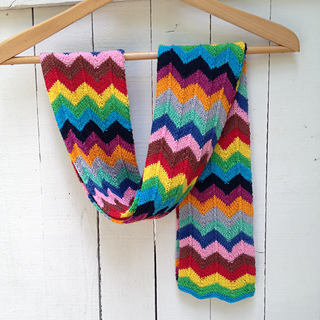 You don’t have to make a striping scarf, of course. 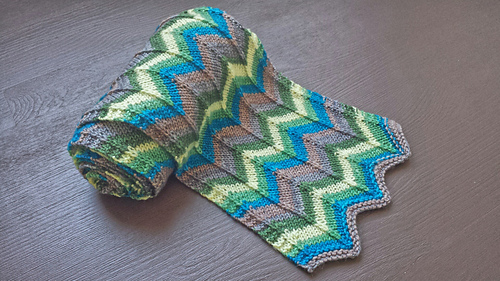 Chevrons look great in solids too!